A psycho-educational assessment identifies areas of strength and weakness in a child or adolescent’s learning profile, and provides a deeper understanding of their academic and cognitive abilities. 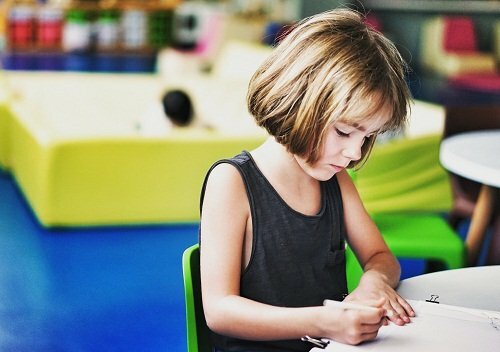 Sometimes the results identify specific exceptionalities including Giftedness, Learning Disabilities, Attention Deficit Hyperactivity Disorder (ADHD), Intellectual Disabilities, reading (dyslexia), writing (dysgraphia) and mathematic (dyscalculia) challenges, and other mental health/behavioural issues that can interfere with learning. Pscyho-educational assessments are one of the best ways to answer the question, “What is going on with my child?” Whether or not a particular diagnosis comes as a result of the psycho-educational assessment, the findings frequently give children, parents, and schools alike a much deeper, comprehensive understanding of a child that in turn has invaluable implications for their future programming and development. For children, they learn what they are naturally good with and what they have to struggle a little more at. They also may learn to advocate for themselves in areas where they have difficulties. For parents, they may modify and adapt their parenting approach, sometimes restructuring their child’s routines in order to support greater learning and overall success. Finally, schools can create a learning environment and educational programming that is more conducive to the students specific learning needs, often seeing tremendous academic gains in a remarkably short period of time. Now, it’s not all rainbows and daisies in that there are two common barriers to psycho-educational assessments. One isthe lengthy wait time if they go through the school system; the second isthe-out-of-pocket cost should they want to get one done quickly at a private clinic. However, what people usually are not aware of is that most extended health care packages and workplace benefit plans cover the expense. With the assistance of a benefit plan these assessments become significantly more accessible to the typical middle-class individual. Thus, if you ever find yourself wondering, “What is going on with my child?” a psycho-educational assessment might just be the answer you’ve been waiting for. We would be happy to answer any other questions you may have regarding psycho-educational assessments. Call us at 905-319-1488 ext. 1 and our client care specialistsare there to take your call.